Last week as I attended the lovely Anna Scholz do, there was a Fashion World Tea Party going on, on the other side of town. 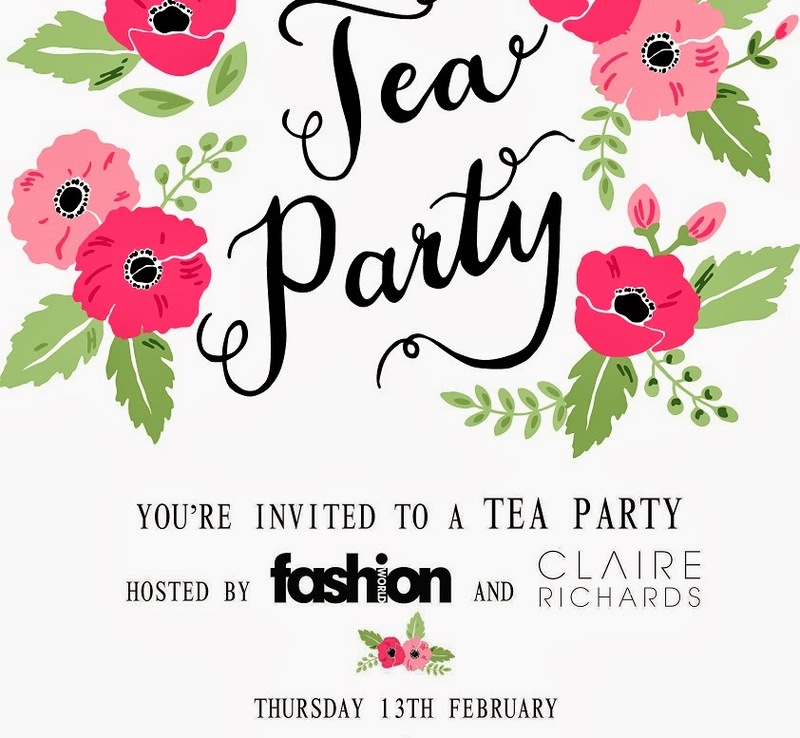 Sadly I was unable to attend both - but by all accounts the Fashion World Tea Party was a roaring success. 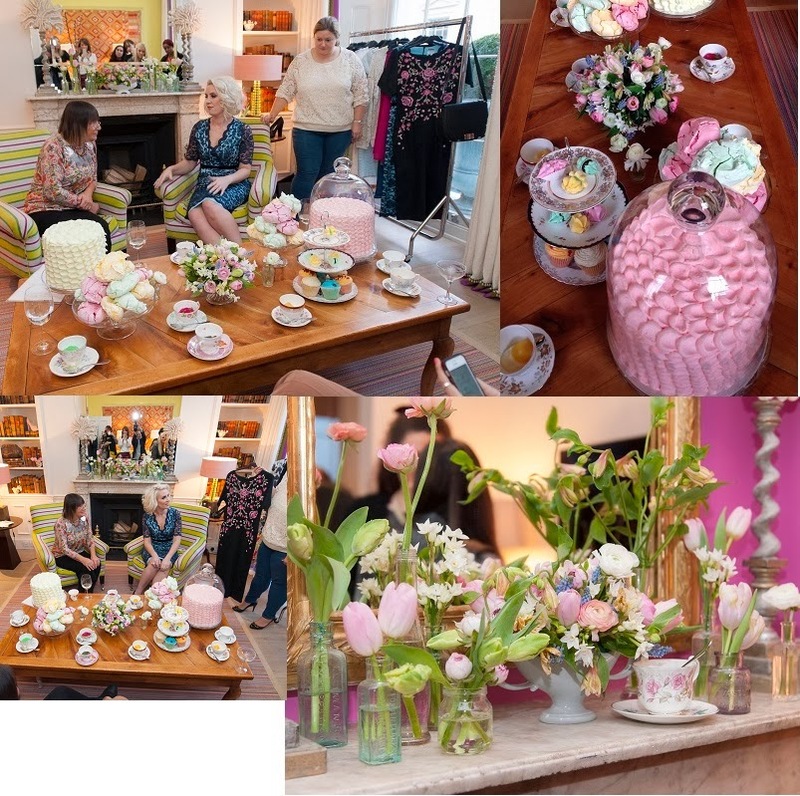 The tea party was to celebrate the new Claire Richards range - you can see the lace dress that I reviewed here. The range for me, is lovely. I love the fact that there are some proper occasion dresses. I know not all of us want to get dressed up to the nines every single day, but as a plus size girl it is nice to have that option, should the occasion arise. That said, the range is really varied and there is something for everyone, click here to see the whole range. 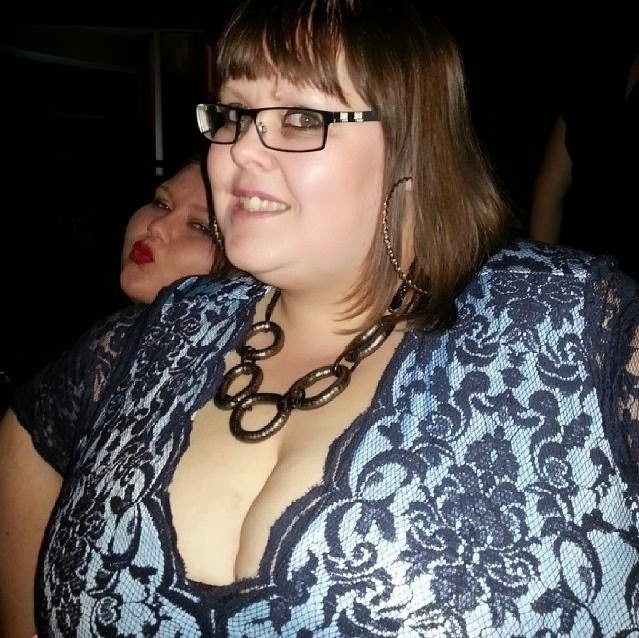 The lovely ladies at Fashion World, sent me a few pictures so I could see what I missed out on (sob!)... How amazing does it look? Have you bought anything from the Claire Richards range yet? I have lusted over the Claire Richards range at Fashion World for ages now, but never got around to trying anything. I am lucky enough to say that they contacted me last week to see if I would like to try one of the dresses from the new range. I have to say the new range is fabulous and it was hard for me to choose. As I was allowed to review something, I thought I would go out of my comfort zone and choose something that I wouldn't usually buy - and I am so glad that I did. I choose the lace dress which Claire herself models on the front page and I am so glad that I did. See the dress here. .I love the length of the dress, which for me means that it is perfect to wear without leggings. I can't wait to dress this up properly with sparkly accessories and shoes. 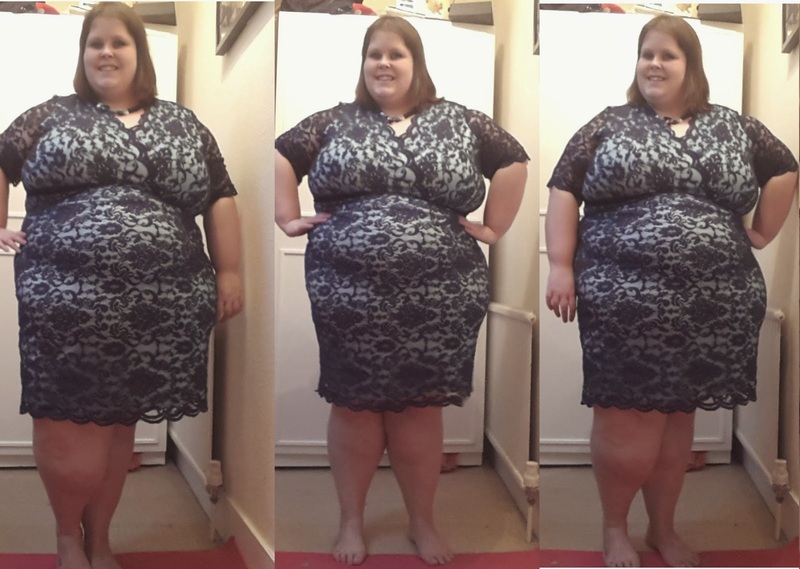 My wardrobe is definitely missing some proper 'occasion' wear and this dress fills the gap perfectly - well done Claire! 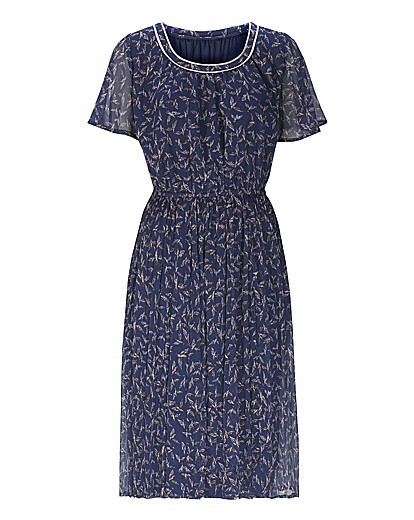 The dress is available up to a size 32 and will set you back £85 - but for me, it would be well worth the investment! I will be honest, I don't often pay much attention to celebrity fashion ranges, perfumes etc. I judge something on whether I like it and not the name behind it. I heard about the Claire Richards range for Fashion World a few weeks go and only got around to checking it out this morning. 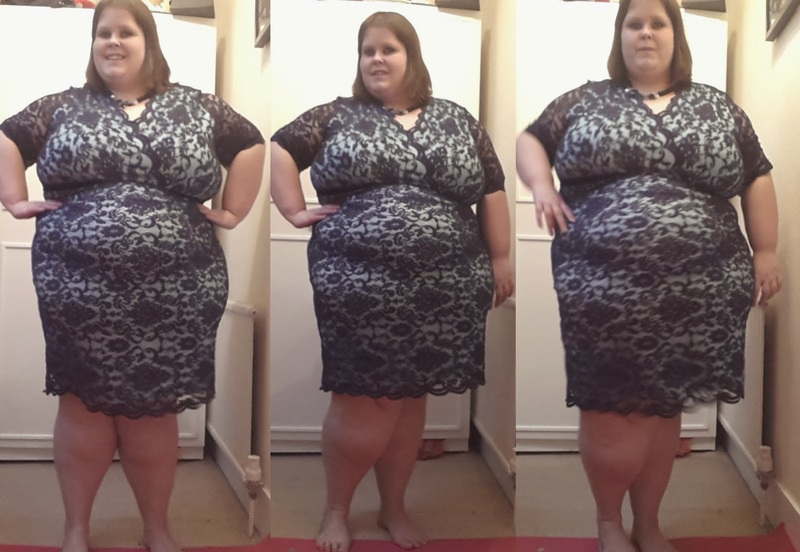 I have to say that I think there are some really pretty pieces on offer and all of the dresses I looked at go up to a size 32, which is always a positive thing! As the collection is quite new, most of the pieces are averagely priced, but as they are all so nice I thought I would give an ABC feature a bash anyway! I guess the word bargain means different things to different people - this wouldn't strike me as the cheapest dress you could buy ever (quite simply because it isn't) but for the price it is a lovely, staple item to add to a wardrobe. The dress is a little longer than the style I would usually wear, I have to confess to not having very many midi length dresses in my wardrobe. What I loved about the dress with the way it comes in at the waist and the lovely bird print pattern If you have any tea parties or events coming up, for £50 this could be a welcome addition. You can buy this dress here. I don't own very much black, but I am starting to love bodycon dresses. What I love about this dress is that even though it is black, the textured pattern gives it another layer. It isn't simply another black dress. I can imagine wearing this to more formal events and think teamed up with some nice jewellery and pretty shoes this would be really lovely. At £65.00 it isn't the cheapest dress you could buy, but if you are looking for a black dress to add to your wardrobe then I think this would be fabulous! You can buy this dress here. 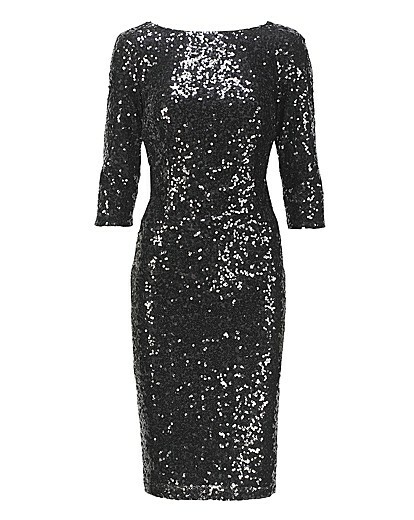 Another black dress but the sequins on this give the dress a lovely sparkly shimmer which really brightens it up. At £95.00 for this dress it most definitely is an investment piece but as you will be able to dress it up with different accessories you'll most definitely be able to make sure that you get value for money out of the dress! I like the shape of the dress and I know the long sleeves will appeal to many people. You can buy this dress here. All in all, I think the Claire Richards Fashion World offering is a good once - I would have loved to see a bit more colour in the pieces though! I guess many people still assume that us fat girls want to hide and slim away in black but that isn't always the case. As I said i haven't tried any of the dresses so I cant comment on fit or quality but I do like the look of these 3 dresses.